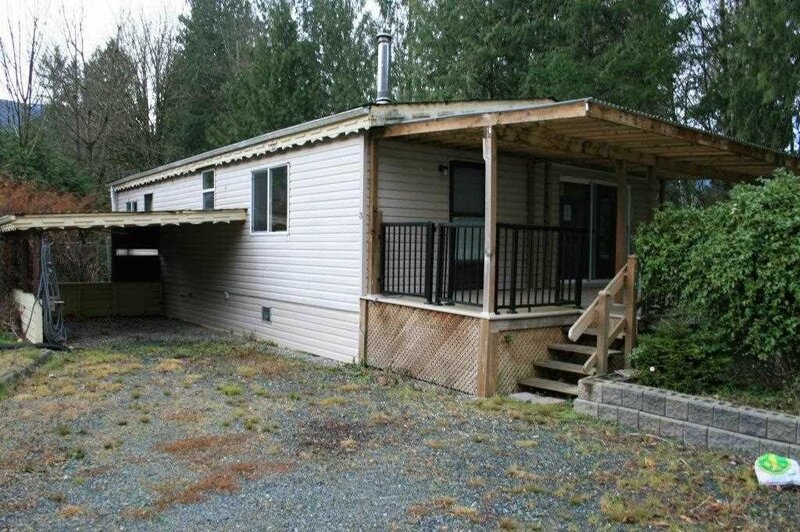 Great price for double wide modular home on a large lot at end of cul-de-sac in Baker Trail. 1,050 sq.ft. Open design kitchen with eating bar. Gas fireplace in living room. 2 baths. Covered parking. Storage shed/workshop. Huge covered deck. Great location, walk to world class fishing along the scenic Vedder River. Hiking trails galore. On it's own land (bare land strata with only $200. monthly fee).